Situated 90 miles from Houston and 45 miles west of Liberty, TX (hometown), bird watchers and naturalist a like love the outdoor activities available at these apartments in Beaumont, Texas. Seated In Jefferson County, Beaumont apartments such as these might be newly built but the ground in which they stand have a long historic background. Lease apartments in Beaumont while the going is good and rent is cheap. This up-and-coming city has new, luxury apartment complexes popping up all throughout the area. The location of your house has various effects on your social life. We all prefer to live in close proximity of our work/ school/ relatives/ friends, but very often this is not feasible. It helps you to gauge when you have to leave home to reach work on time. It decides your acceptability to and from places. In the case of renting Beaumont apartments, you can tell us your preference of locality. However, proximity to a place is only one factor of the location of a Beaumont apartment. Demographic details also play as an influencing factor. Thus, before you start your search for Beaumont Texas apartments, decide where you would prefer to reside. Search for apartments in Beaumont, Nederland, Port Arthur, Orange, and Bridge City. Contact our Texas apartment finders for more information. 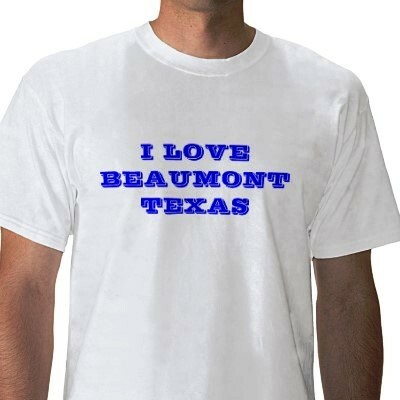 Your Guide to Beaumont Apartments – So, Beaumont has great shopping, great restaurants, and great attractions. Just outside of your Beaumont apartment, you’ll also find great recreation! This city, largely because of its geography that includes freshwater and saltwater marshes, forest areas, rivers and grasslands, it’s a perfect location for birding. To search apartments for rent in Beaumont, browse our site now or contact our locators for a customized apartment list in minutes. Stone Creek Apartments in Beaumont TX – Brand new luxury apartment homes…Washer and dryer in every unit…Our property is conveniently located near Babe Zaharias Gold Course, Shopping, entertainment and Hwy 69. The beautiful grounds feature BBQ Grills, Outdoor Fire pit, Putting Green, Resort Pool with Beach Entry, Wi-Fi throughout Elegant Clubhouse, Oriented Fitness Center with Free Weights and Kid’s Room, Game Room with Shuffleboard, Billiards Table with Wi-Fi Station. Units include elegant Crown Molding, Wood-Style Flooring and Two-inch Slat Blinds, Built in Computers Desks, Oversized Garden-Style Oval Soaking Tubs, Expansive Walk-in Closets, Faux Granite Kitchen Counters and Spacious Pantries, Maple Cabinetry, and Covered Individual Terraces its Luxury living at it’s best – contact us today for leasing details! Willow Lake Apartments in Beaumont TX – Brand New Luxury Apartment Homes. From the moment you arrive at Willow Lakes, you will know this is the community that you have been waiting for “the one that finally welcomes you home.” These beautifully constructed apartment homes offer a peaceful escape at the end of a busy day. Our desired location brings you the conveniences of Port Arthur and the golden triangle, including the renowned Nederland school district, combined with the ambiance of a quiet getaway…the perfect blend for your lifestyle. Willow Lakes was designed to appeal to both the aesthetic and functional ideals of its residents. Siena Apartments in Beaumont TX – A gated community within minutes of Interstate 10 and Highway 69! ….Our property is conveniently located near Parkdale Mall and Beaumont’s premier shopping and entertainment districts. We are minutes from area hospitals and Highway 69 or I-10 access. Property grounds feature an abundance of resort-style landscaping with a glorious pool and sundeck located next to an outdoor fireplace for relaxation and entertainment. Settler’s Cove Apartments in Beaumont TX – There’s only one Beaumont classic New England-style apartment community, Settler’s Cove Apartments. Nestled in the stately pines and oaks of east Texas, but convenient enough for all your shopping and business needs, Settler’s Cove Apartments offers five luxurious one and two-bedroom apartment homes. We are most proud of our award-winning staff who place service as their number one priority. Come and enjoy our commitment to excellence. Regent 1 Apartments in Beaumont TX – Come home to convenient living at Regent I Apartments. Enjoy life on beautiful tree-lined streets, with easy access to transportation, shopping, and entertainment. Choose from a variety of spacious apartments, each with ample closet space and modern amenities. Regent I Apartments is right where you want to be. Fountain Woods Apartments in Beaumont TX – You have discovered Fountain Woods…the ultimate apartment community designed with you in mind. Fountain Woods Apartments offers all the comforts and amenities that one comes to expect in a quality home. Surrounding a handsome courtyard and water cascade, Fountain Woods is Beaumont’s exclusive contemporary community, designed to suit today’s lifestyle. You’ll find convenience, privacy and peace of mind. Professionally managed and maintained, you’ll be proud to call Fountain Woods home. Convenient to shopping, schools, churches, and downtown, you’re only minutes from everything Beaumont offers, yet secluded in your own private neighborhood. With ten floor plans from which to choose, Fountain Woods has unique one and two bedroom designs styled for gracious living and entertaining. The Pointe Apartments in Beaumont TX - Conveniently located near major retail centers, including Super Wal-Mart. The Pointe is a townhouse neighborhood with all the luxuries of a home. 9′ or great ceilings, creamy walls with white colonial trim, solid wood cabinets, colored counters, Whirlpool appliances, W/D connections, garden-style tubs, ceramic tile, beautiful new swimming pool! West End Lodge Apartments in Beaumont TX – West End Lodge Luxury Apartment Homes feature one and two bedroom garden style apartments for rent in Beaumont, TX offering spacious, comfortable floor plans designed for your convenience and ideal for your active lifestyle. A great place to call home, West End Lodge Apartments offer a wide range of amenities which add to the convenience and comfort of this luxury rental community; enjoy a custom designed swimming pool with cabana, a complete state-of-the-art fitness center, and private garages with all available apartment rentals; along with a professional on-site management team. Breakwater Bay Apartments in Beaumont TX – Welcome to Breakwater Bay. Brand new apartment homes with luxurious amenities , fitness center, clubhouse, sparkling pool, and many more. Please come visit us today. Beaumont Trace Apartments in Beaumont TX – Beaumont’s newest luxury apartment community…The only apartment community to call home…Let us pamper you with our designer lifestyle services.. Beaumont Trace introduces the convenience your lifestyle demands. Our location is minutes away from major shopping, dining and entertainment. We’re located within minutes of anywhere you want to be. Experience Southern living at its best; visit our friendly staff at Beaumont Trace. The Preserve at Old Dowlen Apartments in Beaumont TX – Easy Access to I-10 and Highway 69, Short drive to Parkdale Mall, Minutes from Crockett Street Entertainment District and Downtown Beaumont…Resort-Style Pool with Wi-Fi and Children’s Area…Stainless Steel Appliances, Full Size Washer and Dryer. One of the most unique and vibrant apartment communities, The Preserve at Old Dowlen artfully combines exquisite design and architecture with upscale apartment living in a pristine one-of-a-kind location. We are right around the corner from over 140 different shopping areas but far enough away to enjoy the quiet. The Preserve at Old Dowlen community blends seamlessly with the natural beauty of the area. Combining distinguished amenities with an exceptional location. There is no need to look any further! Poole Avenue Apartments in Beaumont TX – 1 , 2 and 3 Bedrooms!. Luxurious Living…Poole Avenue Apartment Homes offers deluxe style homes with a quiet surrounding, yet close to all new shopping areas and easy freeway access conveniently close to major highways 73 and 87. Amenities include frost-free refrigerators, multi-cycle dishwashers, spacious rooms, mini blinds, on-site clothes care facilities, storage units, walk-in closets, linen closets, ample parking with covered parking available, court yard views with beautiful shade trees, and more. Oakwood Village Apartments in Beaumont TX – Minutes From I-10, Shopping, Restaurants and Theaters…Fitness Center, Business Center, Picnic Areas With Gazebo, Sparkling Pool and Sun deck…Wood Burning Fireplaces…. There are apartments and then there are places where you immediately feel at home such as Oakwood Village. The community is so warm and friendly it draws you in. It seems every detail was designed with you in mind. Comfort and convenience are not afterthoughts but essential elements built into every floor plan, every service. Take a walk through Oakwood Village today…the difference is obvious.